Adi Shankar, the producer behind Dredd and Netflix’s upcoming Castlevania series, has revealed his burning desire to craft an R-rated Mega Man movie. 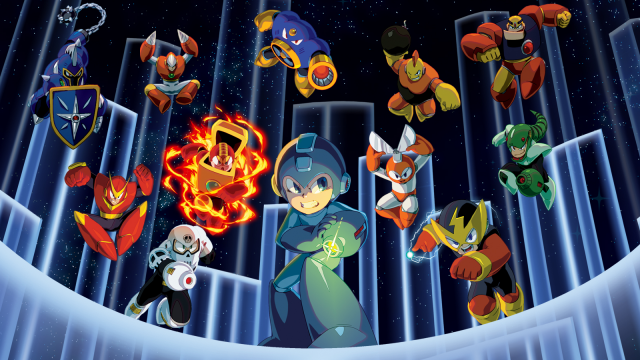 Word comes by way of WWG (via Screen Rant), where Shankar told the outlet straight up that, “I’d love to do a hard-R Mega Man.” Capcom’s iconic Blue Bomber has flirted with the big screen before, most notably when 20th Century Fox began developing an adaptation in tandem with Chernin Entertainment. That was two years ago and since then, all has been quiet on the Mega Man front. Could Adi Shankar be the one to lend a new lease of life to the languishing project? As WWG points out, Shankar has handled beloved IP in the past, and recently served as a producer on Lionsgate’s live-action Power Rangers movie. Bouncing from Dredd to Power Rangers to the two-part Castlevania series – a “dark, satirical” animation that touts an R rating – has raised concerns that Shankar is simply banking on nostalgia when reintroducing these projects to a modern-day audience, but to his credit, the executive producer was quick to address any potential criticism while chatting to WWG. He’s certainly resurrecting Castlevania in an interesting way over at Netflix. Gunning to “flip the vampire sub-genre on its head,” Adi Shankar and the rest of the creative team plan to (re)introduce the Belmont clan later in 2017, before a second (and final?) season arrives sometime next year. An R-rated Mega Man movie is a different proposition altogether, but if Castlevania turns out to be a success, Capcom and 20th Century Fox may well stand up and take notice of Shankar’s “hard R” pitch.